Arrested? Call us immediately at 416-598-5250. Arrested or facing criminal charges? It is best to consult with a Toronto defence lawyer. 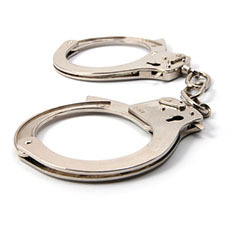 If you are arrested by a police officer, two possible scenarios will unfold. One, usually in the case of less serious offences, you will be released from the police station provided that you sign a written undertaking agreeing to attend court on a specific date; there may also be some conditions that you must agree to, for example, to stay away from a particular person or place while you are awaiting your trial. The second possible scenario is that you will be held for a bail hearing before a justice of the peace. You must be taken before a JP within 24 hours of your arrest. The JP will then determine whether you will be released on bail or kept in jail while waiting for your trial. Your first court date will usually be within three weeks of your arrest. This will be the first appearance of several before you can actually set a date for your trial. Disclosure (the statements and evidence the police have collected to prosecute you) will normally be provided to you on your first court date. It is best to consult with a lawyer before your first court date; the lawyer can advise you what to expect in your dealings with the criminal justice process. You have the right to remain silent. Call us immediately at 416-598-5250 to speak to our criminal defence law firm if you have been charged or arrested.